I’m continuing to share posts about travelers “first” experiences in an Islamic country as a follow-up to my post on why you should visit an Islamic country in 2015. This post is from Heidi of the blog Wagoners Abroad. 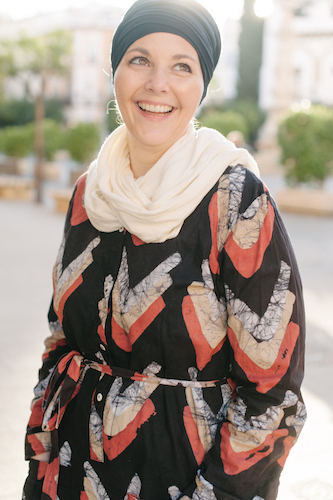 Heidi and her husband Alan are passionate about travel (50+ countries) and both author the popular blog. In Aug 2012, they left the “perfect American life”. They quit their jobs, sold their belongings and moved to Southern Spain, with their 2 kids (Lars and Anya). After nearly 2 years in Spain, they became nomadic and explored Southeast Asia for 11 months. They have recently returned to Spain as their home base to travel more in Europe. They are a true source of inspiration and proof you can make your dreams come true. Follow them on Facebook, or many of the other social media channels. As a family that travel full-time, we have seen and experienced so much. Almost to the point of having the unknown or unusual becoming the norm. Our kids have now visited 27 countries and Alan and I are up in the 50+ country range. During all of our travels we have seen and experienced some unique things. Of course Lars always gravitates to the odd food choices, but we all enjoy learning something new. 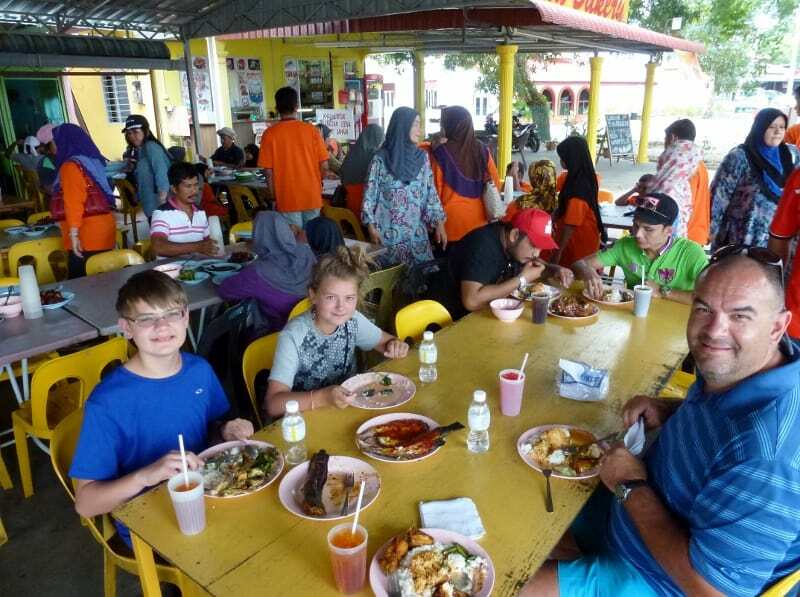 In Langkawi, we visited a local roadside eatery and most people were eating with their hands, no utensils. We gave it a try, but decided to go ahead and use the fork. As we were about 6 months into our 10 months in Southeast Asia, it was time for us to visit Malaysia. I had visited over 20 years ago with my mom and I recall being a bit surprised by the country. Mainly seeing so many women covered from head to toe in the heat! What in the world? At the time I did my research via my favorite Lonely Planet guide and knew it was a predominantly Muslim culture, but I didn’t know what that meant. So I thought my kids would have the same experience as I did my first time in Malaysia. When we arrived for our 6 weeks in Malaysia, I was surprised at how westernized it had become. We visited Penang, Langkawi, Kuala Lumpur and Johor Bahru and it was far more “grown up” than during my visit over 20 years ago. That said, there is one thing that has remained the same, and that is the Muslim culture. I was expecting the kids to call it out and ask questions. 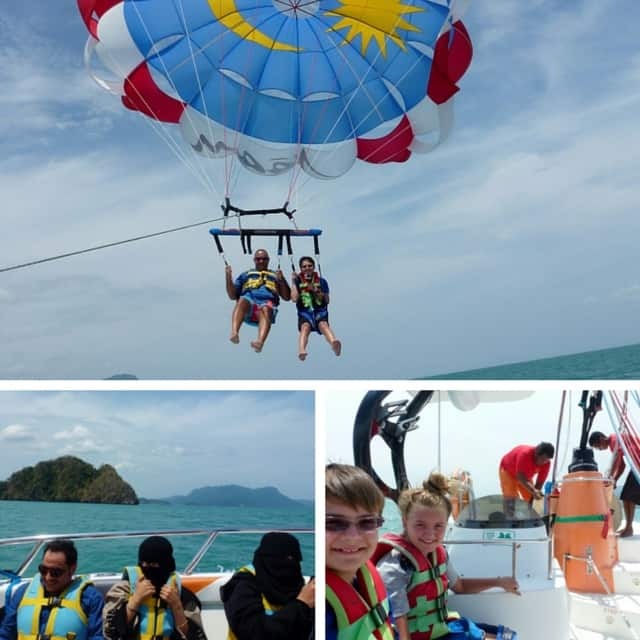 I finally brought it up to them, after we spent the afternoon out parasailing in Langkawi, with ladies completely covered from head to toe in the heat. The kids didn’t bat an eye and said they knew it was just part of the culture. I mentioned that this was their first experience in an atmosphere like this and they were both very quick to correct me. They reminded me that we had visited Morocco about 8 months prior. 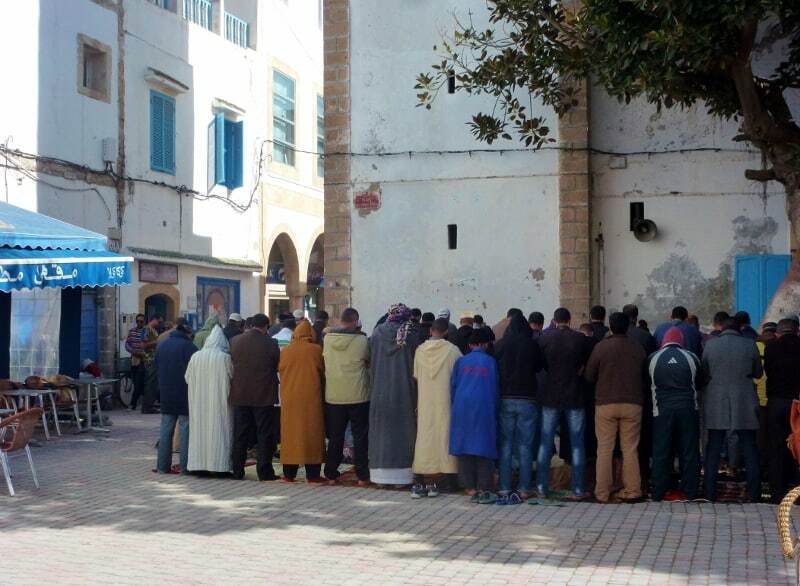 They knew all about the call to prayer several times a day and how people dress differently. That conversation then triggered another memory for 18 years prior, when Alan and I visited Sharm el Sheikh Egypt. I realized at that moment that we all have accepted things which are usually “different” as normal. We just accept people for who they are and continue with our daily life. We often eat different foods, wear different clothes, have a different opinion on how much “skin” is okay to show. You see even when we visited Morocco, there is such a Moorish influence in Southern Spain, the kids didn’t even think it was a drastic “different”. I love that we travel and I love that the kids see the world for what it is. Everywhere we have visited, we have felt comfortable and been accepted with open arms. Sometimes it turns our that we are the one who are different. Each country has influences from others and at the core of it all, we are just people. As we have traveled around and see how the media hypes up and generalized and entire religion or race and see how it makes people live in fear. It is a shame that things like that have to happen. The kids often ask, why can’t people just all get along? It sounds so simple and I too wonder why. We have had the pleasure to experience many cultures with all sorts of traditions, religions and looks. Don’t be so afraid to visit new areas and try new things. I know many of our readers live in the USA and we often have people asking us, what it was like to live in such a dangerous place. You see even the USA has a bad reputation for all of the shootings, racial problems and more that goes on daily. The media hypes all of that around the globe too. It’s a good feeling to get out of your comfort zone and explore a bit. Go ahead make the unknown or unusual the norm, it is a good feeling. Thank you so much for sharing this part of your family adventure with us!